Fans should not "only" move air and cool, they should also look good: Sickle Flow is Cooler Master's solution! Fans are essential for air flow in the case! They are a great way to optimize cooling performance and are necessary to keep operating you hardware at a consistent hight level. 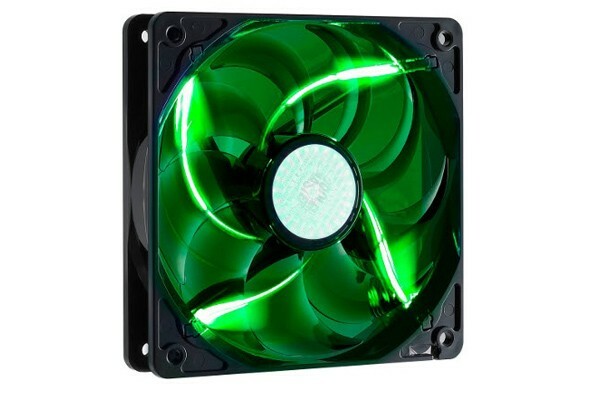 These fans are capable to create impressive airflow at a maximum speed of 2000rpm. Considering the low noise emission, these fans are not only powerful but amazingly quiet. The optical component is also truly amazing! A simple black frame fits in with the case and directs attention to the fan blades: They are offered in different colors and suitably colored LEDs underline the effect. One doesn't have to be a professional casemodder to give their case a unique touch with these fans!